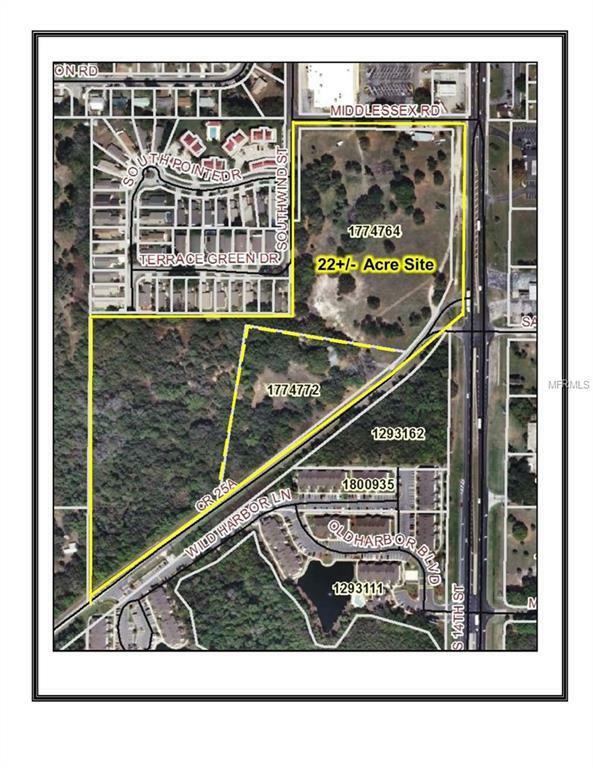 22+/- Acres, Zoned C-3 & R-2, City Utilities Available, 600 ft +/- of US Hwy 27 Frontage, 1,600 ft +/- Frontage on CR 25A, Front 11+/- Acres Zoned C-3 on US 27, Back 11+/- Acres Zoned R-2 on CR 25A, 39,000 FDOT Average Trips per day - US 27, Billboard, Development Opportunity for Professional, Commercial, Multi-Family, ALF, ILF Site. Excellent access from 3 roads, Walking distance to Singletary Park & Lake Harris, Harris Chain of Lakes. 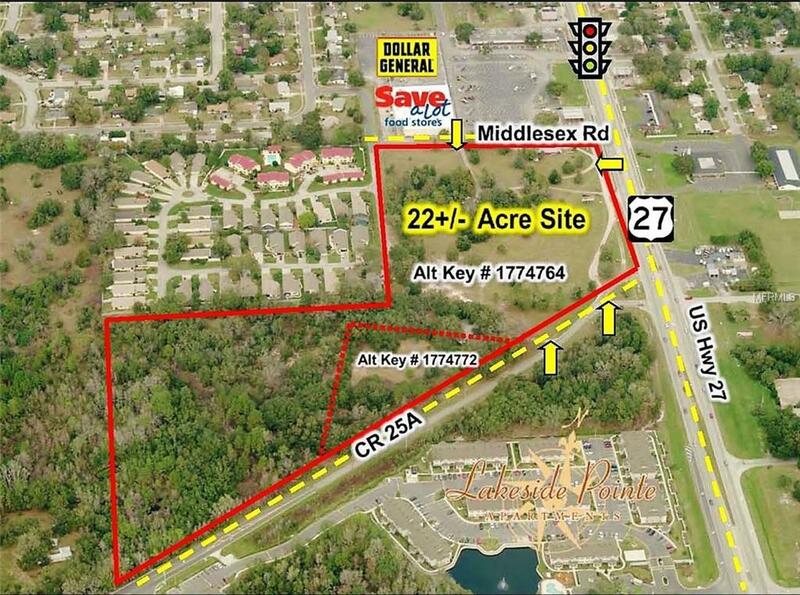 Less than one hour from Orlando in the heart of Central Florida, just minutes from The Villages, Florida Turnpike, I-75. 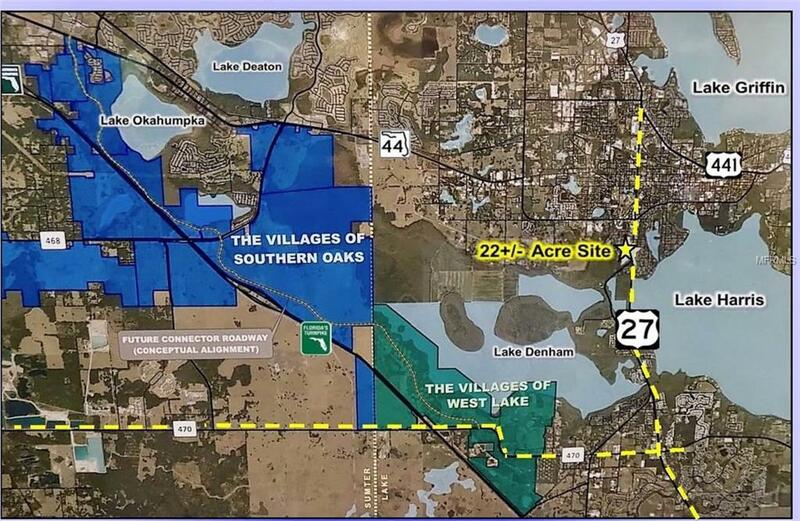 South of the 22+/- Acre Subject property just off US Hwy 27 on CR 470 is the future "Villages of West Lake a 1,127+/- acre addition to "The Villages 35,000 acre retirement, golf cart accessible development that spans 3 counties in the Heart of Central. 7+ million SF of commercial, retail, medical, 145,000+ residents & double the US average income creates opportunity & demand for support & service industries, including self-storage, retail, commercial, hospitality, multifamily.